Many years ago when I first met Tania Hodges at Hopuhopu, Māori services were looking at how business applied to Hauora. I thought that strange because I didn’t realise Hauora (Health) involved business. Tania was a registered nurse, had a social science degree, and was studying business management. 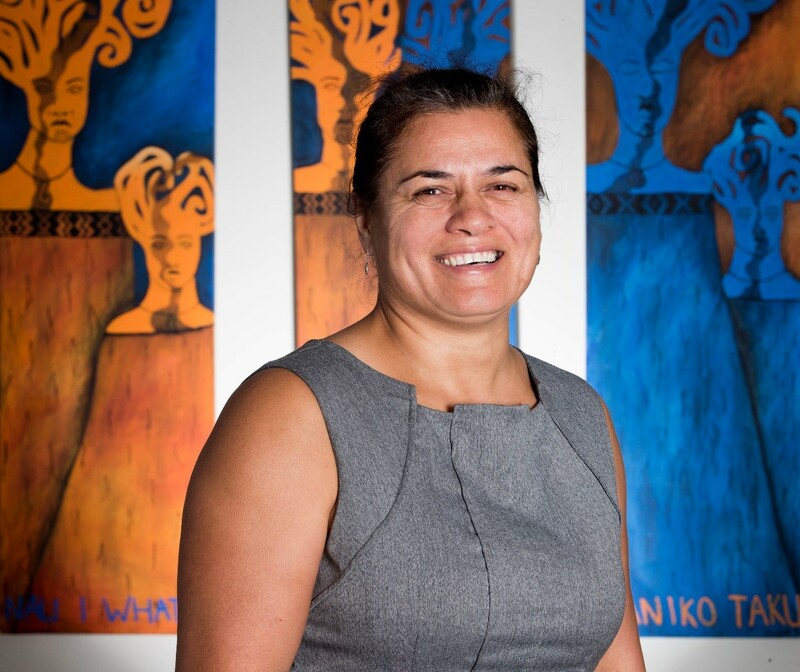 Tania was instrumental in coordinating programmes for a large Māori health provider. Years later we ended up working for the Midland Regional Health Authority, on the same team and doing the same type of job. Immediately we clashed. I had negotiated a higher salary for the same job which she didn’t find out about until I told her one day. From that day on she vowed never to agree to something at face value passively. Tania was a workmate of high integrity, inclusive and charismatic with a huge network of friends and colleagues, and always striving to do the best for the people she served. I am the opposite, less sociable, blunter and less patient but we ended up married. Our life together has always been hectic. Tania had never had a year that I can remember when she wasn’t involved in either: some form of higher education, some top-level sporting activity or some Te Reo (language) programme. At the same time, also running a consultancy business and sitting on a number of governance boards including iwi. Tania has raised four awesome tamariki (children). Our two older tamariki have graduated, the older son with a degree in Digital Media, and the second son has just graduated as a Doctor. The two younger siblings are still at school. All the tamariki have attended Kura Kaupapa Māori (Māori Primary School). Stepping up and getting on with things in relation to leadership seems to be a normal way of doing things for Tania, which, I thought at the beginning, was business management. In 2001, her consultancy company began training Māori health professionals with the overall goal being “to make a meaningful difference in serving Māori - wherever they worked”. To date, and along with the assistance of Grant Berghan and others, 750 Māori students have attended, developed and graduated, in their aspirations of fulfilling their leadership potential. She has seen leadership theories come and go, and also the notion that your hierarchical job somehow makes you a leader. Tania believes in the simple things like always acting with integrity, growing other leaders, encouraging each other, setting annual life and whānau goals, leading by example, getting things done, kicking the sacred cow, making a positive difference and striving for excellence. It has been tremendously satisfying. In her middle age (“masters..lol”) now, for some reason she’s decided to try and break every record under the sun for her age group in indoor rowing, CrossFit, weightlifting, and athletics. She is a successful property developer, and I leave all the responsibilities of negotiations with her. She’s also attending reo wānanga (māori language classes). Most of all, she is a wonderful, caring mother, partner and our whānau (family) is truly blessed to have her in our lives.